In 1880, Regina Shober Gray became a grandmother (in January) and a widow (in February). The Gray family was probably already considering the sale of their Beacon Hill house – they would later move to Mount Vernon Place – as time wrought its changes on the family’s composition. 1 Beacon Hill Place, Boston, Friday, 20 August 1880: Morris [Gray] left us last Wednesday in the 6 p.m. train (Aug 18th) to go round the world! He was to stop a few hours at Niagara; a few, at Chicago; and then take the train across the Continent, getting out at Lathrop [California], to visit the Yo Semite &c, which requires three days, and he expected to reach San-Francisco in time to sail in the Oceanic, Sept. 1st, for Yokohama, Japan; thence by China, visiting Pekin, and getting a sight of the great wall and the seaports; thence to Singapore, Batavia, Calcutta, across Hindoostan to Bombay, visiting en route Benares, Agra, Delhi, Lucknow &c; thence by the Red Sea to Suez & the Nile. After that he has not decided – if he gets good news from home, he will stay and give the summer to Europe. And on every account God grant he may be able to do so. He has long felt that he could never settle down to the long waiting for slow professional success in Boston until he should have seen something of life & the world outside of it. It will do him good in every way, and I and all of us encouraged his plans heartily – but I feel as if my home were shattered indeed – its dearest one gone out from it forever – and my two youngest, Rege [Gray] & Morris, each thousands of miles away. Rege would have been glad to go with Morris – but felt that having hired an office and put his hand to the legal plough, it would not do for him to break away so soon, for such a long absence – so he is contenting himself with a two months’ run through England & Scotland, and Aunt Mary Wigglesworth has kindly presented him with $500 begging him to stay longer & see more, now he is over there. I am in hopes he will do so – and perhaps will get a run through Switzerland. We think his letters have been pretty blue and homesick – but Aunt M. brought one she had received yesterday, which was in better spirits; he was evidently getting up the zest for travel. Neither he nor Morris have any friend with them – greatly to my regret. One enjoys things so much more with a friend at hand – and for Morris especially, travelling among semi-barbaric Moguls, Malays, wild Arabs &c it would have been a great relief to me if he had a pleasant camarade de voyage. He has taken good letters [of introduction] for some of wh. we are much indebted to Edw’d. Cunningham. He has an ample letter of credit – and his Aunts Annie & Ellen Gray sent him $500 beside, which was very kind of them. Sam & Carrie [Gray] got the last glimpse of him, as he smiled upon them standing at the Cottage Farm station [in Brookline] while his train rushed by! and I was glad to hear so far on his long way; & as Frank [Gray] encouragingly suggests, so much the nearer to seeing him again! which is encouraging a long way off, I confess. It has been a very hurried week. I came in from Milton last Thursday; and tomorrow F.C., Mary [Gray], and I start at 8 p.m. for Jefferson, N.H. I shall be glad to get them both there – the change will be good generally for M. and Frank is already suffering here much from hay-fever. I am all packed and this afternoon we drive out to see Carrie and dear little Ralph, who has been quite poorly but is better now, thank God. He has 2 teeth – and the upper gums are much swollen. He has gone into short clothes and looks very cunning. [Mary Gray’s intimate friends] Richard & Lucy Stone, with Robt. & Mary, dined with us yesterday – the children were very good, and we all enjoyed this visit. The Bowditch family came up from Isles of Shoals, on Wednesday; Lillie [Bowditch] has been more poorly & wanted to get home. Poor child, she has a dreary time of it. I sent off to-day my box for the Azorean, and in it “Tomes Hist. of the Great Civil War” for [her sister] Sue’s Xmas present, three handsome large quarto vols., illus’d. large type & margins – pub. for $27.00 – but wh. I got at Campbell’s [bookshop] for $12. Sue wrote out to know if there were any such history and this is the only consecutive one I could hear of. I am always so glad to know of something she really wants for her Xmas. Hedwiga Regina Shober (1818–1885) was married to Dr. Francis Henry Gray 1844–80. Entry from the Hedwiga Regina Shober Gray diary, R. Stanton Avery Special Collections. The diarist’s youngest son, Morris Gray (1856–1931), who married Flora Grant in 1883. Mrs. Gray’s third son, Reginald Gray (1853–1904), who married Rose Lee in 1892. A family connection. Edward Cunningham (1823–1888) was a cousin of Sallie Gray, the diarist’s sister-in-law (see Note 9 below). Dr. Gray’s younger sisters, Anne Eliza Gray (1819–1884) and Ellen Gray (1830–1921). Mrs. Gray’s second son, Samuel Shober Gray (1849–1926), and his bride Caroline Balch (Weld) Gray (1846–1912). Mrs. Gray’s eldest son, Francis Calley Gray (1846–1904). From a visit to her brother- and sister-in-law, William Gray (1810–1892) and Sarah Frances (Loring) Gray (1811–1892). Mrs. Gray’s daughter, Mary Clay Gray (1848–1923). Sam and Carrie Gray’s son Ralph Weld Gray, born in January. 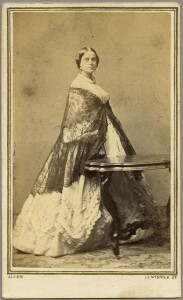 Mary Gray’s close friend Lucy Bowditch (1850–1918) had married Richard Stone in 1875; the Stones’ children included Robert Bowditch Stone and Mary Gray Stone, named for her mother’s friend. A ship plying between Boston and Fayal in the Azores. The Great Civil War: A History of the Late Rebellion…, published 1864–67 by Robert Tomes (1817–1882). Mrs. Gray’s younger sister Susanna Budd Shober (1823–1898? ), who married Dr. John Davies of Fayal in 1867.